Those are just some of the ways our members have come to describe Quantum Credit Union. We are honored by these statements, and are proud to have been serving our members for more than 80 years. We attribute our continued strength to three fundamental values - believing in our people, investing in our members, and giving back to our communities. We also pride ourselves on offering members a wide range of financial services with convenient access, all backed by a staff dedicated to a family atmosphere. Quantum Credit Union was established in 1938. 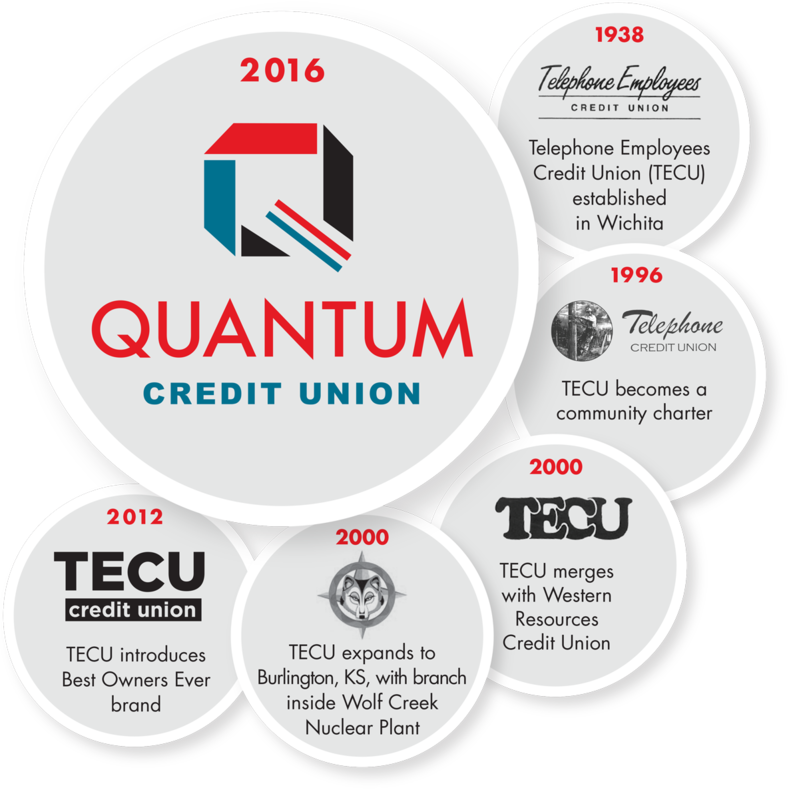 Many may know us by our former name, TECU (which stood for Telephone Employees Credit Union). Our credit union was originally chartered to provide financial services exclusively for the employees and family members of the communications industry, initially Southwestern Bell Telephone. In 1996, we converted to a community charter – being open to the public. This allowed us to become more inclusive, inviting anyone living or working in our geographic area of membership to join. In 2016, we changed our name to Quantum Credit Union to better reflect our continued diversity and growth in the communities we serve. While our name may have changed, the commitment to our members and honor of our heritage has not. We are proud of our history, and will always remain true to our roots. Today, we are honored to serve more than 8,400 members in 15 Kansas counties. We are grateful to our members and happy to call them family.